3. 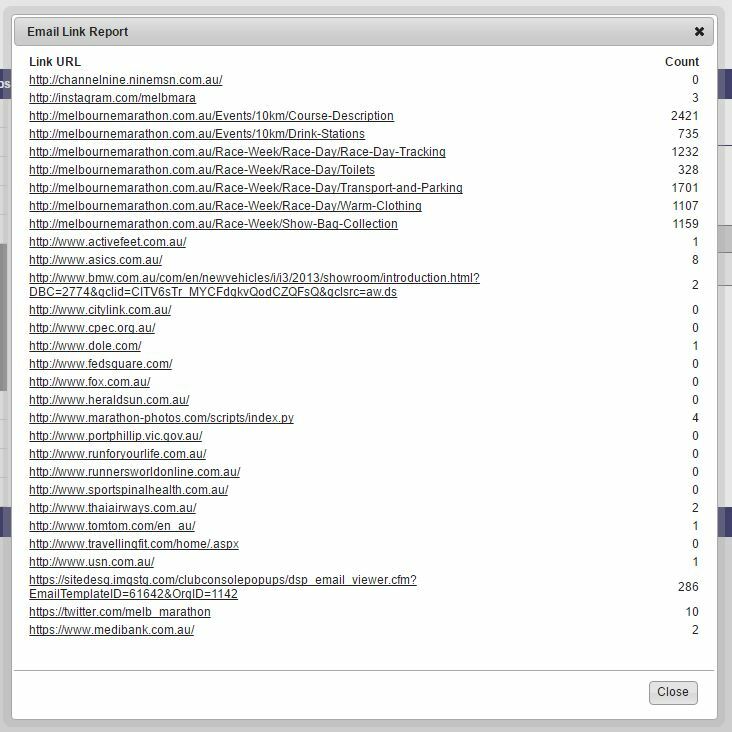 Under the heading Email Databases, select the database, to view the statistics of the email campaigns sent to that email database. Hard - the amount of emails that hard bounced. A hard bounce is an e-mail message that has been returned to the sender because the recipient's address is invalid. A hard bounce might occur because the domain name doesn't exist or because the recipient is unknown. Soft - the amount of emails that soft bounced. A soft bounce is an e-mail message that gets as far as the recipient's mail server but is bounced back undelivered before it gets to the intended recipient. A soft bounce might occur because the recipient's inbox is full or an out-of-office message returned. Open - how many recipients opened the email.